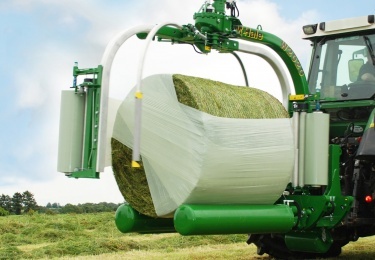 It is a compact machine, which allows one operator to transport, wrap and stack the bale with one tractor or loader. The W2020 can wrap a bale with four layers of plastic in approximately 20 seconds and with six layers of plastic in 30 seconds. The W2020 is controlled by an expert plus control box, which makes wrapper operation fully automatic.